"In every woman there is the girl she left behind." 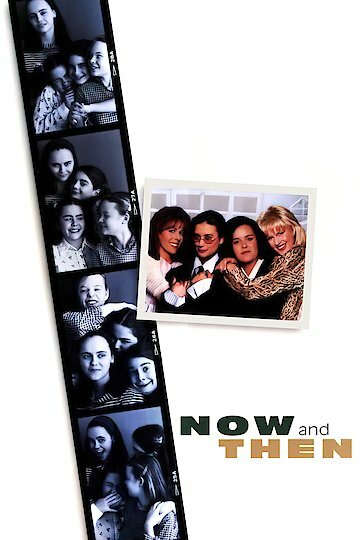 Now and Then is a warming story about four girls from Indiana who are best friends and have of the most interesting summer of their lives. The movie starts out with the four girls as adults, getting back together for the first time in years after going separate ways. While all together they look back on that summer and everything that happened. Samantha likes to do séances, Roberta is a tom boy who lost her mother, Teeny wants to be a movie star, and Chrissy's the goody good. One night they go to the local cemetery and perform a séance and they believed it really worked. The next night they returned the to cemetery and a tombstone was knocked over and cracked. His name was Johnny. After the girls found the tombstone they were determined to figure out who he was and how he died. The girls take a bike ride to a library in a different town and start searching to see what they could find on Johnny. The girls find out his mother and him had been murdered while the man of the house was out. One night when they go back to the cemetery they saw an old man riding down the road on his bike. The girls have seen the man before but always at night and it scares them. Another night Teeny and Samantha are out in the rain and Sam got stuck in a sewer, where she was trying to get her bracelet that fell off. The old man showed up and saved Sam's life. The girls later find out that the man they and the town feared so much was the father of the boy Johnny. After everything they found out they went back to the cemetery to put Johnny’s soul to rest. That night they found out they never actually brought his spirit back at all, that their imagination just got out of hand.